Lovely monochrome kids wall sticker of a bunny looking up at the stars and moon in the sky, from our cartoon wall stickers collection. 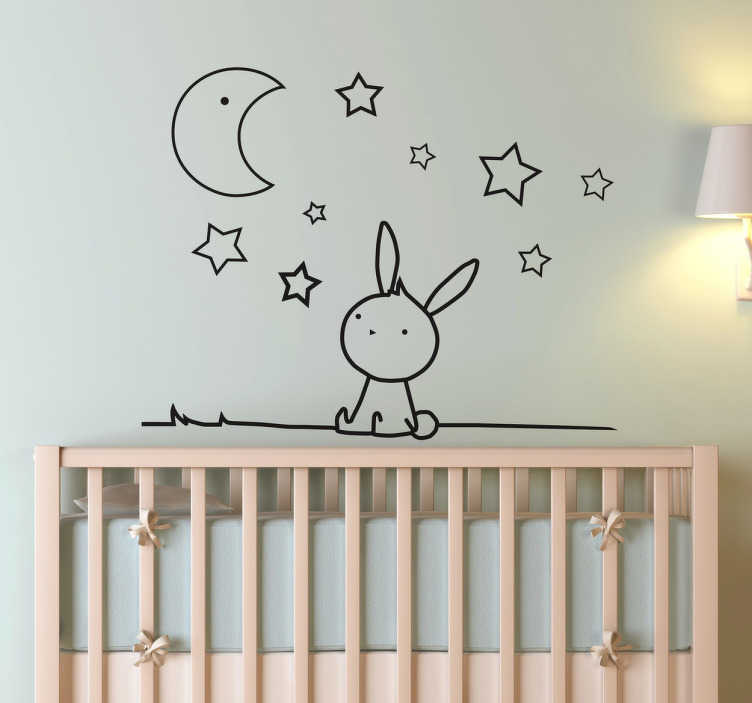 Brighten your child's life with this cute rabbit wall sticker perfect for decorating the nursery, child's bedroom or play area to create a calming and friendly atmosphere. Available in a wide range of sizes and colours, this wall decal is made of high quality anti-bubble vinyl making it extremely easy to apply and remove.